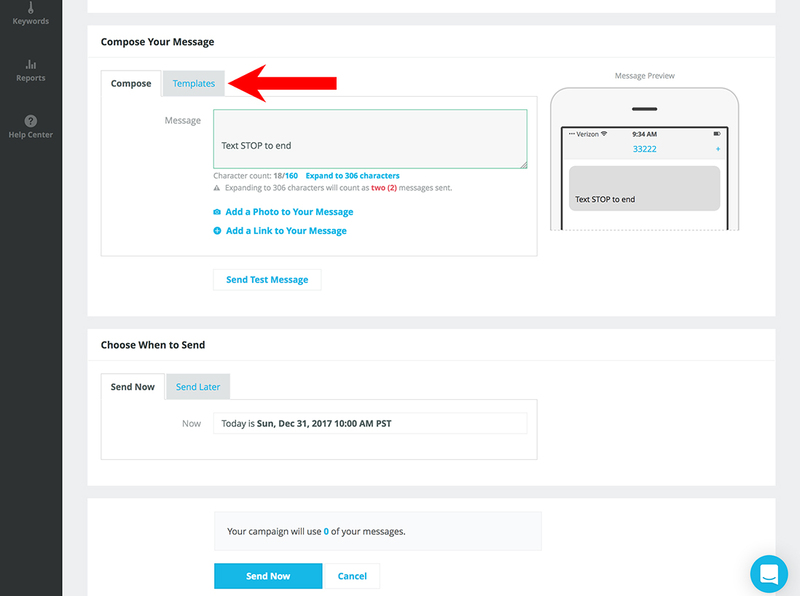 Use Templates to send the same Text Message. 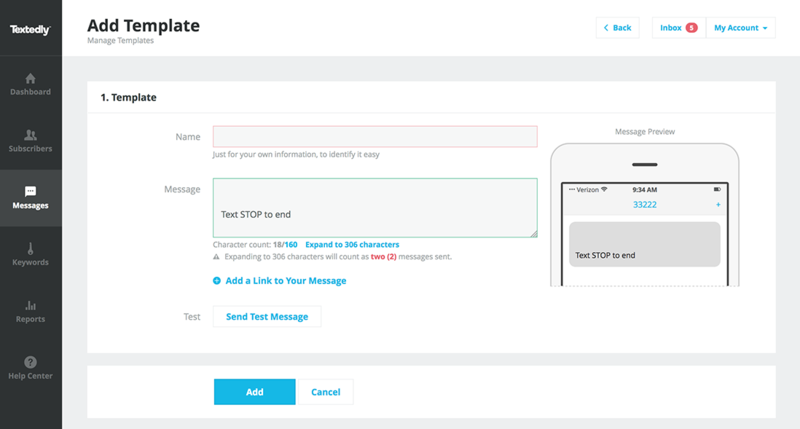 If you are sending the same Message over and over again, Templates are a very cool feature to save you time. A Template is where you can type out your Message, and save it. Then just choose the Template of your choice when composing a new Message. Bellow is the step-by-step guide on how to create a Template. 1. Under My Account, click on the drop down item "Message Templates". 2. Next, click on the blue button that says "New Template". 3. Name your Template. This is just for your own information, in order to identify the Template more easily. Type out your Message, and hit the "Add" button. 4. When composing a new Message, you will see a tab marked "Templates". Click on that and you will see all the Templates you created.